Do you ever feel lost about how to raise a healthy eater when you struggle with food yourself? You may be unsure about your own child’s eating habits. Or perhaps feel defeated when it comes to taming picky eaters, overwhelmed with how to manage sweets and “junk food”, or worried about your kiddo who refuses to eat. Mealtimes might feel chaotic, and putting a balanced meal on the table everyone will eat may seem an impossible feat. You are not alone. This was my story too, and Mama, there is a better way. I'm so glad you're here. I'm Crystal Karges, Registered Dietitian Nutritionist, mama of five with a master’s degree in nutritional science. I’m passionately committed to creating a freedom generation. I help overwhelmed mamas nurture a peaceful relationship with food and their bodies so they can mother from a place of abundance, confidently feed their children, and truly thrive in life. Because when mothers thrive, families flourish. Together, we’ll end the battles of diet culture and transform your family kitchen from a war zone to place of peace and joy. Here you’ll find proven guidance, free resources, and helpful information to support you along your motherhood journey. I already had deep, painful issues with food before I had babies. Becoming a mother amplified my incessant thoughts about my body and what I put in my mouth. When I realized food was taking up and unhealthy majority of my precious mental space, I desperately wanted to focus on what really matters...not obsess about my body. I ignored these problems for years. But becoming a mother made it harder to ignore...because I had to feed my littles too. They counted on me to nourish them, and I learned that by transforming my own relationship with food and my body, I could STOP the generational cycle of negative eating habits and poor body image from passing on to my own kids. As mothers, we are the gatekeepers of our children’s health, and healing our past experiences with food can unlock the freedom we desire for ourselves and our children. Stop the overwhelm, guilt and insecurity that something that should be so "normal" is such a fight. You do not simply have to survive from one day to the next. You can thrive through motherhood, and I’m here to help you along the way. Peace with food is possible, and you don't deserve anything less. As a thriving survivor of anorexia and postpartum depression, I am passionate about empowering mothers to nourish themselves first so that they may better nourish their families. I understand the shame and vulnerability in those struggles. I also understand what it’s like to be overwhelmed as a working mother; putting self-care on the back-burner while taking care of your family. I dedicated years of my life to studying nutrition, getting a Master’s degree, and specializing in child feeding and intuitive eating counseling in order to help hundreds of women nurture a peaceful relationship with food and their bodies through my private practice. A balanced, nourished life is possible, no matter your past struggles. Your previous pains with food and body image can end with you and not carry over to your children. 3. 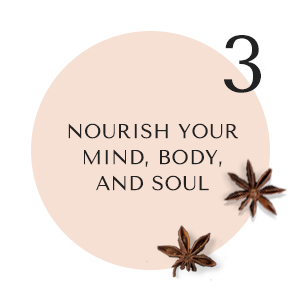 Peace with food and your body…for good. "I thought I would never have a positive relationship with food and yet I now find myself no longer at war with food.” - Courtney D.
Join a community of strong, thriving mothers learning to nourish their families minds, bodies, and spirits. Together, we can create a FREEDOM GENERATION for our children. Crystal Karges, MS. RDN, IBCLC is a Master’s-level Registered Dietitian Nutritionist (RDN), International Board Certified Lactation Consultant (IBCLC), Certified Intuitive Eating Counselor, and Nutritional Therapist. With a San Diego based private practice, Crystal offers specialized nutrition counseling for maternal and perinatal eating disorders, body image healing, prenatal and postpartum wellness, pediatric health and child feeding strategies, and breastfeeding consultations. Combining her experience and expertise as an eating disorder dietitian and in maternal and child health, Crystal provides comprehensive online nutrition counseling and support that empowers women to confidently nourish themselves and their families throughout the motherhood journey, cultivate a positive body image, and live freely in a peaceful relationship with food. Through a weight inclusive framework, Crystal is committed to providing effective, compassionate, and evidenced based nutrition care to mothers and families across San Diego county and worldwide through her online blog and virtual nutrition coaching practice. I am dedicated to creating a community that empowers parents to nourish themselves first, so that they may better nourish their families. Whether you need support through personal guidance, words of motivation, or inspired family recipes, this space is created to empower you with the knowledge you need and to celebrate your journey to a nourished life for you and your family. Making peace with food and my body came by challenging the mainstream ideas that had been deeply engrained within me, and I can help you do the same. My passion is transforming lives with well-balanced nutrition that helps people overcome their chaotic relationship with food and body. Healing my body, mind, and spirit came with proper nourishment and finding activities that fulfilled me. I will teach you to live your best, nourished life and show you how it’s possible to lead a healthy, balanced lifestyle. Finding your best self will allow you to be a positively driving force for your own family’s health.